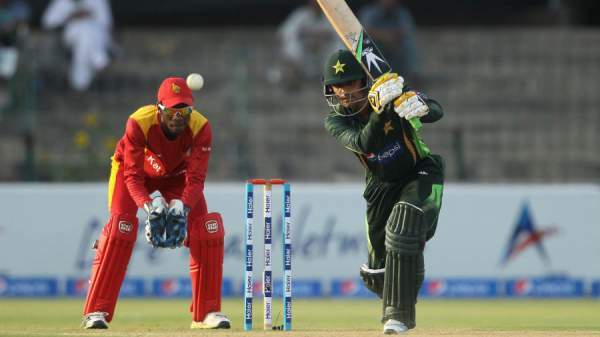 Pakistan vs Zimbabwe live streaming of the 4th ODI will be made available by the official broadcaster. Today, it’s the fourth one-day international to be played at Bulawayo. Pakistani cricket team is on a tour of Zimbabwe. Pak has already won the series and leading with an inaccessible lead of 3-0. The visitors have defeated the hosts in every department of the cricket sports. The guests have picked up massive victories over the Zimbabwean side in the first three ODIs. You can watch live cricket match today online on PTV Sports as PTV has got the rights to air the tournament in the two nations. The hosts have been struggling in both bowling and batting departments. So, it has been a series of disappointments for them. Now, as Pakistan has already got the series, they can test their bench strength for the upcoming Cricket World Cup 2019. Meanwhile, it can be possible for Zimbabwe to pick up a consolation victory when their opponents will be testing variations of its playing xi. The visitors thrashed Zimbabwean side by 9 wickets and bowled out the home team at just 67 runs in the last game. Seamer Ashraf picked up a career-best 5-22. Left-arm fast bowler Khan picked up two for seven runs. Zimbabwe was stopped in just 25.1 overs. Zimbabwean batsmen continued to struggle against Pakistani seamers. Pak opener Zaman got lucky when dropped catch when he was on 2, he made an unbeaten 43 runs. In today’s match, Pakistan has won the toss and elected to bat first. It means Zimbabwe would be fielding first. Stay tuned to The Reporter Times for latest cricket news. Previous articleHow To Install Exodus Addon On Kodi 17 Krypton & Kodi 18 Leia Alpha 1: Download & How To Setup?